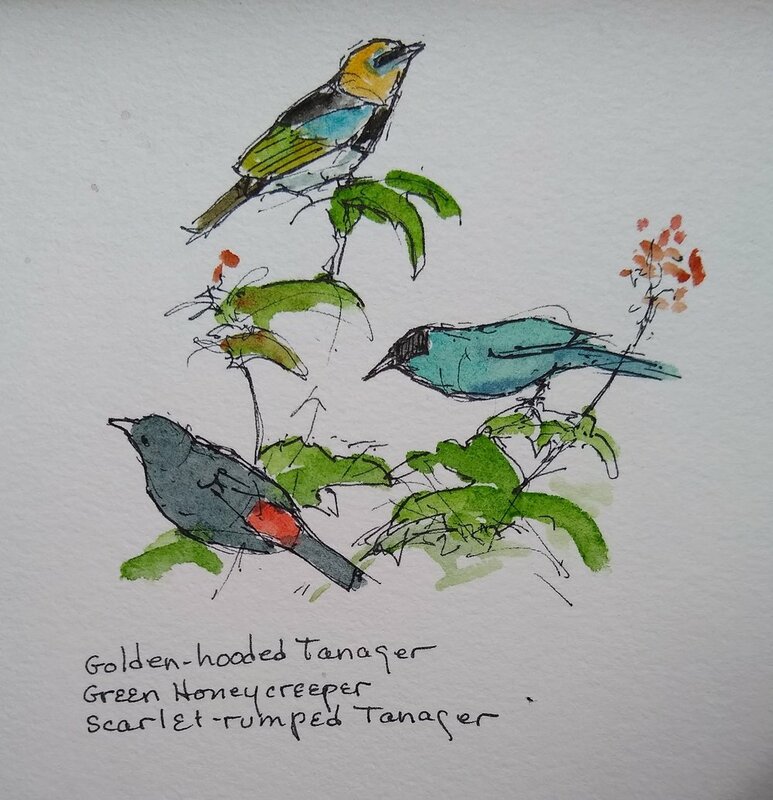 This is a quick sketch of birds in the garden at La Selva, Costa Rica. Since motmots sit still and Dave can take his time photographing, I also have time to do some quick sketches. 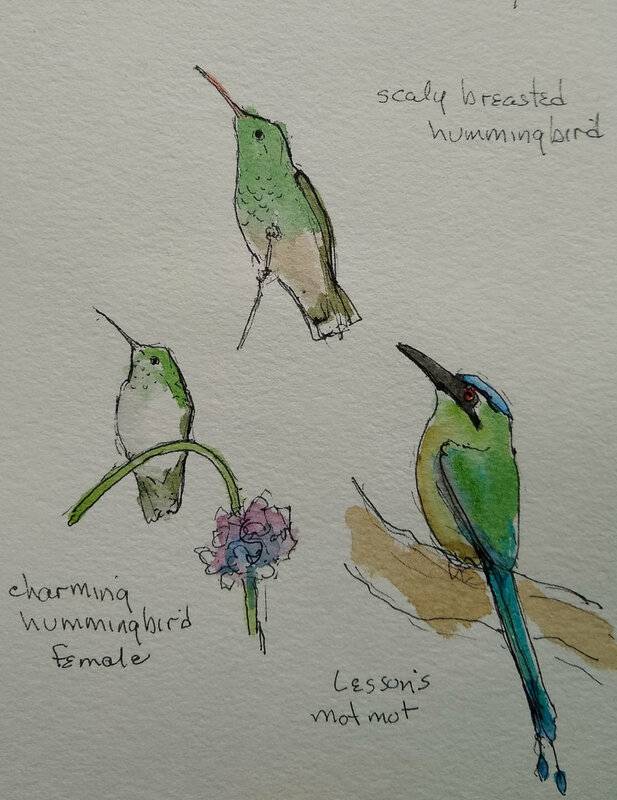 Here are a couple pages from Costa Rica. Incidentally, one thing I love about Motmots is that they say their name, ‘Mot Mot’ in a low spooky voice.